In January 2018, the University of New Hampshire (UNH) formally launched Semester in the City as a 16-credit study away option with UNH serving as University of Record. This means students at colleges/universities that have not yet directly partnered with CfSI can now partake in Semester in the City, earning credits through UNH, to transfer back to their home college/university. Our other founding partner for our pilot year in 2016-2017 is Clark University, which we will keep building a strong relationship with in order to allow students to participate to our program and have real-life learning experience. Becker College joined our program Spring 2017. We are looking forward to recruiting our first cohort of students from our new college partner, and to building long lasting relationships with staff and faculty members. 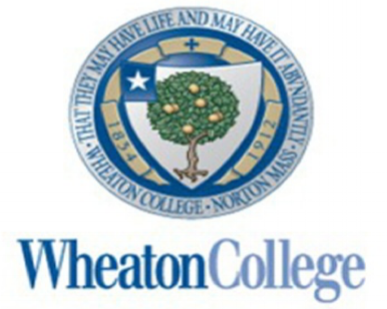 Wheaton College is our newest partner! We are excited for Wheaton students to join us as early as Fall Semester 2017 and are eager to build long lasting relationships with Wheaton students, staff and faculty members. We are excited to partner with Marlboro College, with the first cohort of students joining us for our Fall 2017 semester. The University of Vermont joined us in the Fall of 2018. Our first cohort of students will join us in the Spring of 2019. We are excited to build long lasting relationships with faculty and students. We are so excited to partner with Lasell College. We had our first students from Lasell in our Fall 2018 cohort and we are looking forward to building a long lasting partnership with staff, faculty, and students there. Our partnership with UMass Amherst began in late 2018. We are so excited to have students join us for our Fall 2019 cohort. We look forward to building long lasting partnerships with staff, faculty, and students. Our partnership with UMass Dartmouth begin in the Spring of 2018. We are so excited to have students join our Fall 2019 cohort. We look forward to building a long lasting partnership with staff, faculty and students.